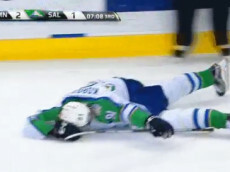 It is getting harder and harder to score in hockey. 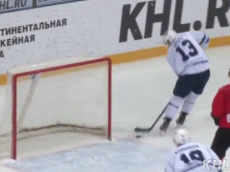 Many want to shrink the goalie equipment but it looks like a player in the KHL has found the easiest way to get around a goalie is with some cold, hard cash. 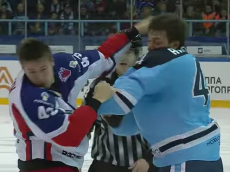 Sergei Drozd of Dinamo Minsk proves to us that hockey can be hard. 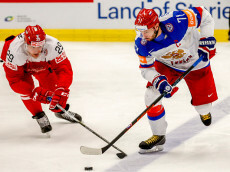 Even when you’re skating all by yourself with only an empty net in front of you with a chance to salt away a victory, as Drozd did on Monday. 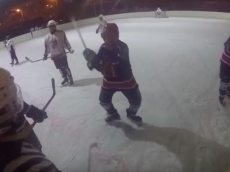 Some people take beer league hockey a bit too seriously. 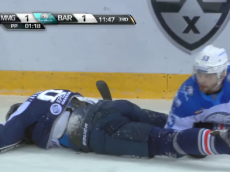 This clip from a Russian amateur league is an example of someone who just needs to chill out and realize it’s just a game. 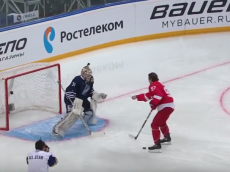 KHL goalie Andrei Gavrilov thought play had stopped after his team appeared to have scored, but the officials kept the play going and it nearly resulted in Gavrilov allowing an embarrassing goal. 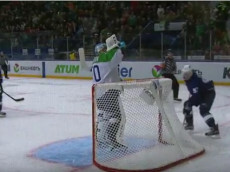 Watch as Gavrilov stops to take a drink while the opposing team marches in and nearly buries what should have been an easy goal. 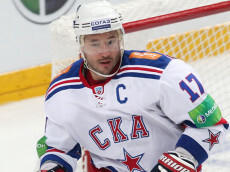 Sad news in the hockey world as former Colorado Avalanche forward Marek Svatos has passed away at the age of the 34.